As our children grow, they become more agile and physical. By the time they are 12- 24 months old, they are experimenting with running, jumping, and throwing. Fast forward a few years and they will be running at full speed, tackling and wrestling each other for fun. Sometimes the experimenting in earlier years and the rough play in later years results in injuries. A common injury we see in our office is a knocked-out tooth. While you may not be especially concerned because children lose their “baby teeth” anyway, that’s fine. But it’s important to get your child to the dentist so he or she can evaluate whether the adult teeth under the “baby teeth” were damaged. 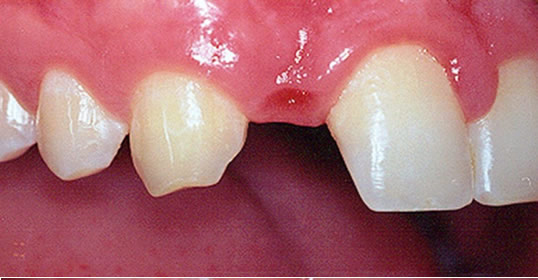 Find the tooth, picking it up by the crown (the portion of the tooth that chews) if possible. Call the Miro Dental Center closest to you and request an urgent appointment for a tooth that has been knocked out. It’s best if you can see the dentist within 30 minutes of the injury. Bring the clean tooth with you to your appointment, carrying it by the crown or in a plastic bag. When you arrive at our office, the dentist will evaluate the best solution for your child. Don’t wrap your tooth in a towel or napkin! Try to gently insert and press the tooth in the socket with a clean cloth or towel. If you’re unable to insert the tooth, then keep the tooth under your tongue to preserve the tooth and roots. If you are unable to do either of these first two options, then the third option is to put the tooth in a container with your own saliva, with milk, or a saline salt water solution so the tooth will stay moist. Bring the clean tooth preserved either in your mouth or in liquid as noted above. The quicker you get to the dentist with your tooth, the better chance you have of saving your natural tooth. If the tooth is still in good condition, the dentist may be able to properly place your natural tooth. If your dentist finds that the tooth has been out of the moist environment too long, she may be unable to use it. However, she will work with you to determine the best possible tooth replacement option for you. Dental implants, bridges, and dentures are all potential options. To learn more about restorative dentistry options, click here.